BLACKTOWN, Australia — The teenage boys rush the ball down the court, knowing that the losing team will face another round of the lung-crushing wind sprints that make their borrowed gym at a police athletic center here even more confining. “Ball, ball,” yells Henry Makeny. 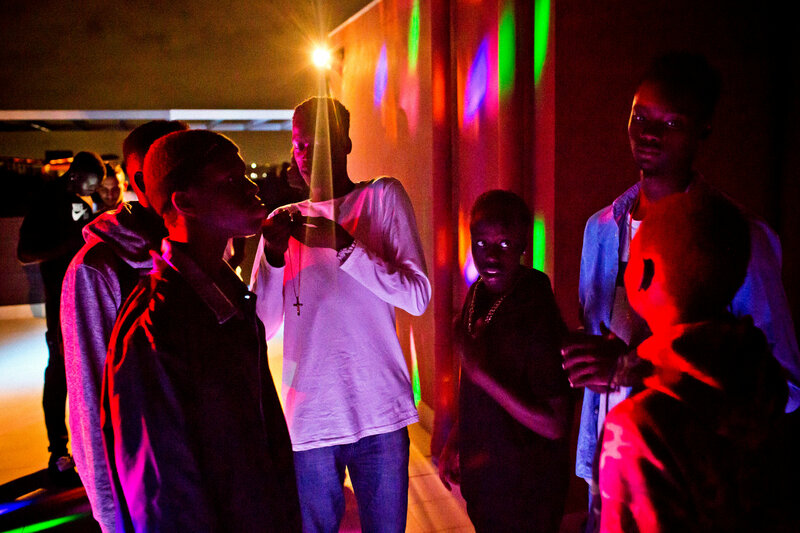 He’s 16 years old, 6-foot-6, and he’s posting up on his friend, Gum Majak, who is an inch taller. Passes move around the outside, through hand-in-your-face defense, past shouting opponents. Finally, Henry gets the ball. He immediately spins and elevates. He’s over the rim but he doesn’t quite have control, and misses. 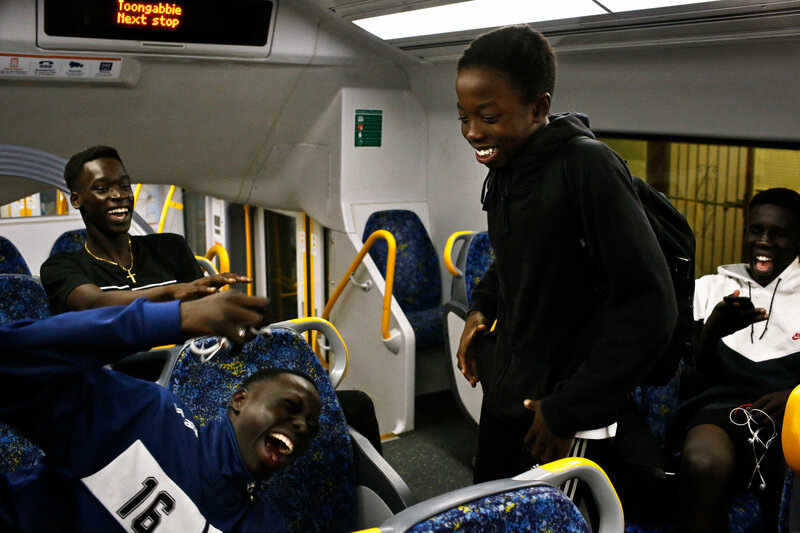 Henry and Gum, who arrived here as toddlers with thousands of other refugees relocated to Australia during Sudan’s civil war, are now being recruited to play for elite high schools in the United States. Those who followed a similar path before them include Deng Gak, a 6-foot-11 forward at the University of Miami; his older brother Gorjok Gak, who plays for the University of Florida; and Kouat Noi, who plays for Texas Christian. South Sudanese players from other Australian cities, like Thon Maker of the Milwaukee Bucks, also have been recruited, along with dozens of others who have made their way to the United States for high school and college on basketball scholarships. None of this was what Mr. Chagai expected or aimed for. He and a few other South Sudanese refugees started playing for fun after landing here a decade ago, and they started coaching only because it’s what their community needed. Many of the South Sudanese children arrived without fathers. Their new country — generous, rich and often quite racist — needed navigating. And so the gym here in Sydney’s western suburbs quickly evolved into what it is today: an enclave unto itself — narrow, stinky as an adolescent hamper, with a mural of Michael Jordan hanging over the court — where the sons of Sudan’s horrid war can play hard and find guidance with other boys and men who understand their struggles and potential. Coach Mayor Chagai instructing the Pride’s players. Mr. Chagai had not planned on being a coach, but fell into the role when the need arose. By DAVID MAURICE SMITH, JOSHUA THOMAS and MAUREEN TOWEY on Publish DateMay 3, 2017. Photo by David Maurice Smith for The New York Times. The challenge for the Pride now is how to preserve that fatherly mission while managing international interest and all the pressures that come with it. Other coaches and teams in Australia already treat the Pride as a feeder, recruiting the best players, sometimes pushing them to prioritize tournaments that conflict with school or Pride training. Mr. Chagai has a hard time keeping up with all the calls and emails from coaches all over the world, and in previous years some players, who were seized upon by dubious American scouts, ended up at schools that were little more than athlete factories. About a dozen of the players have come back to Australia after dropping out of high school or college programs. With Henry Makeny in particular, Mr. Chagai, a volunteer trying to manage a program for nearly 200 boys, is working hard to find a better way. He’s known the Makeny family since they all lived together in a Kenyan refugee camp. Henry has offers from five American high schools, and a couple of weeks ago a college coach showed up for practice here and quickly made him an offer. Henry’s siblings and mother smiled and agreed. Coach Mayor, as Mr. Chagai is known, is partial to dark pants and bright dashiki shirts, and quicker to smile off the court than on. Violence and basketball shaped his life. He left home and his parents at age 7, he said, guided by a cousin who wanted him to get an education. One of thousands of Lost Boys forced to flee as a civil war engulfed South Sudan in the early ‘90s, he trekked first to Ethiopia; then, when war invaded again, he walked for three months to the sprawling Kakuma camp in Kenya. There, as a gangly 9-year-old, he found basketball through an American Baptist church that had set up a court. It became the place where a young Mayor developed discipline and made friends. He lost himself for hours on end in the game. Never one for sweetening truth, he tells these boys what it was like growing up without parents, and he reminds them that they are fortunate, able to walk around without hearing gunshots, and able to connect and compete with others who understand their experiences. He tells them they must become survivors — on the court and off. The Blacktown local government area, where Mr. Chagai has lived since arriving, is a striving, diverse western Sydney region of 340,000 people with a large Aboriginal population (the source of its striking name) and where 38 percent of the population is foreign born. It’s a multicultural but tribal stretch of strip malls and boxy housing where immigrant groups stick with their own or occasionally clash, and Mr. Chagai craved some kind of structure and connection when he arrived. 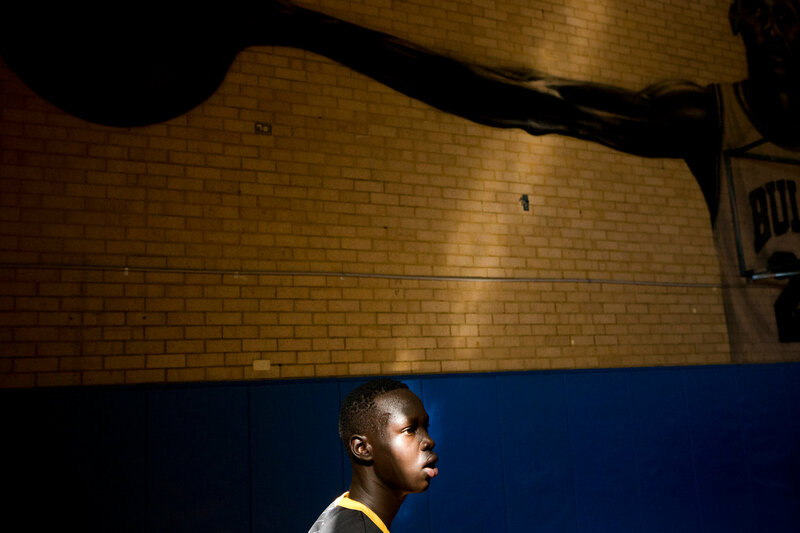 He turned to basketball just a few weeks in, having found a half-dozen other South Sudanese refugees who were familiar with the game from their own refugee camp experiences. The group included one of Henry Makeny’s older brothers. Together they made their way to the Blacktown Police Citizens Youth Club, or P.C.Y.C., because it was nearby and cheap: just two dollars to enter. After a while, they sought out more-serious competition. Acuoth Achol, another one of the original players and now Mr. Chagai’s main assistant coach, said the first team they joined had consisted entirely of Filipinos, who would let only one Sudanese player on the court at a time. “We all had to take turns substituting,” he said, adding that the teammates seemed to be threatened by the competition. Mr. Chagai said their first round of coaching happened partly just to expand the circle of players. Boys would come hang out at the gym, wanting to play, but not really knowing how. The Savannah Pride team is made up of South Sudanese-Australians, many of whom are attracting attention from prep schools and colleges in the United States. 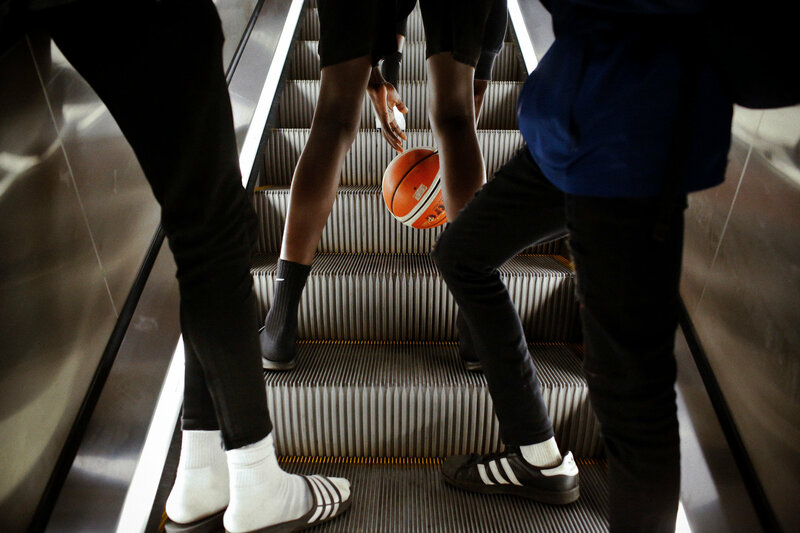 Their first brush with bigger dreams occurred in 2008, when Ater Majok, a muscular 7-footer, was recruited to play at the University of Connecticut. At the time, they were coaching with an American named Edward Smith, who worked with the best players and made connections with coaches in the United States. He helped funnel several prospects, including Thon Maker, to schools there and in Canada. But after an initial burst of pride and excitement, Mr. Chagai and Mr. Achol began to worry that the recruitment process was getting out of hand. Coaches and scouts started swooping in for the annual South Sudanese-Australian basketball tournament in July, featuring teams from all over the country. Promises of professional futures were made. Children were moved to the United States, away from their tight-knit families, with little support. Disappointment followed. “The Savannah Pride’s not put together to farm kids out to other places, but sometimes the kids get to be so accomplished, like Deng and Gorjok, that the next progression is either to play for their country or to go play at a higher level overseas,” said Joe Mantegna, the head coach of Blair Academy in Blairstown, N.J., where the Gak brothers played, along with Luol Deng, a South Sudanese-British alumnus who now plays for the Los Angeles Lakers. The Pride cut ties with Mr. Smith a few years ago. He now coaches at a high school in Canada, where calls to his office were not returned. 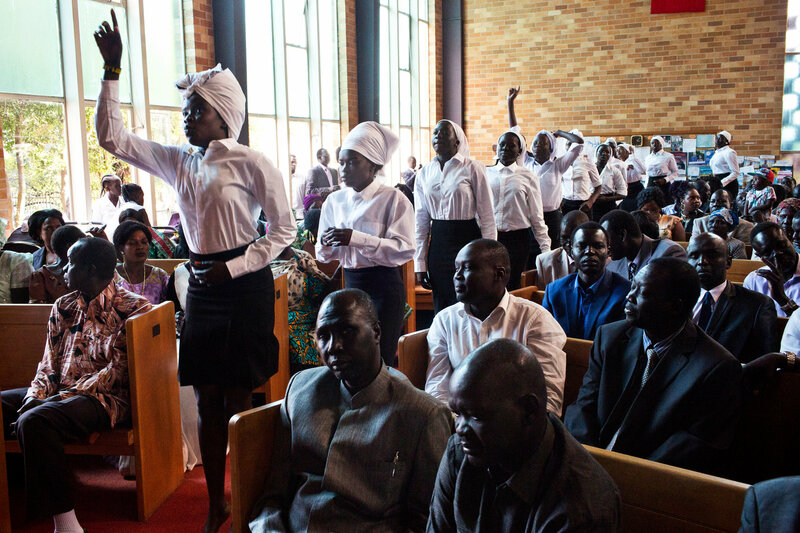 Respect for one’s more experienced elders is deeply ingrained in South Sudanese culture, and the Pride’s success as a development program comes at least partly from generational apprenticeship. In addition to the Gak brothers, who will return again soon for another round of guidance, Luol Deng has also agreed to host a three-day camp for South Sudanese players in Melbourne in July. And many of the coaches and other volunteers — who drive players to tournaments, who help pay for uniforms — are older brothers who played. These days, they are the ones encouraging siblings and cousins as young as 10 to make the Pride a priority, while sharing with them how basketball has helped them in ways having nothing to do with sports. Like the Gak brothers, they also talk about coaches visiting them at home, checking homework, hosting barbecues for poorer families and pushing them to never give up. The older boys, like Henry and Gum, seem to be adopting the philosophy wholeheartedly. At practices, Henry in particular already behaves like a leader, running harder than anyone else, clapping as less talented players run drills. His older sister, Adol Makeny, 34, a lab technician at a hospital, said he’s always been mature, “a big person in a small body” — though now his body seems to have caught up. And so have his dreams. His eyes light up like flares when he talks about the Gak brothers. Still, as mature, tall and talented as he is, Henry is young: He still eats too much junk food and struggles talking to girls. He’s the baby in a family of eight brothers and sisters who were raised partly in the African bush, and who told me they also frequently face racism in Australia: A neighbor is trying to get them evicted from their rented townhouse because of all the people coming and going. When Henry takes the train home after practice, he and the other players are regularly stopped and questioned by the police. While many of their parents clearly appreciate the chance to live in Australia, flaws and all, the boys tend to express a more complicated mix of emotions. Some have made more Australian friends than others. All are frustrated by stereotypes about their community that focus only on crime, and many of them wonder if they can ever be considered fully Australian even though they are citizens, with Australian passports. For many, this is the only country they know. Given the ever-present mix of both pressure and excitement (Henry dreams only of playing in the N.B.A. ), it’s no wonder he is in such a hurry. His relatives, along with Mr. Chagai, are all nonetheless trying to help make sure Henry does not go too far too fast and get ahead of himself. His mother, Elizabeth Mayen, 50, is constantly reminding him to do his homework in case basketball doesn’t work out. “Like every mom or dad, you want your child to have a good future, a good life,” she said. Mr. Chagai is also struggling with how to keep Henry from overscheduling; in April there was a junior tournament in the United States that one of Henry’s coaches from another team wanted him to attend, even though Mr. Chagai feared it would take too much time out of school. After much discussion, he ended up not going. There are three other players with Savannah Pride who are also attracting serious scouts, including Gum, Henry’s toughest competitor in the program. There are younger players just a step behind as well. But Henry has far more interest flowing his way, which means Mr. Chagai is often on the phone or emailing with coaches he trusts — like Coach Mantegna at Blair Academy — asking about different schools he’s never heard of. Programs in Nevada, California, Texas, New Jersey and Florida have all begun to pester Mr. Chagai with pitches for Henry and just general inquiries. He’s more worried than usual about both time and finances. Last year, after getting married, Mr. Chagai tried to quit the Pride entirely and pass it on to someone else. 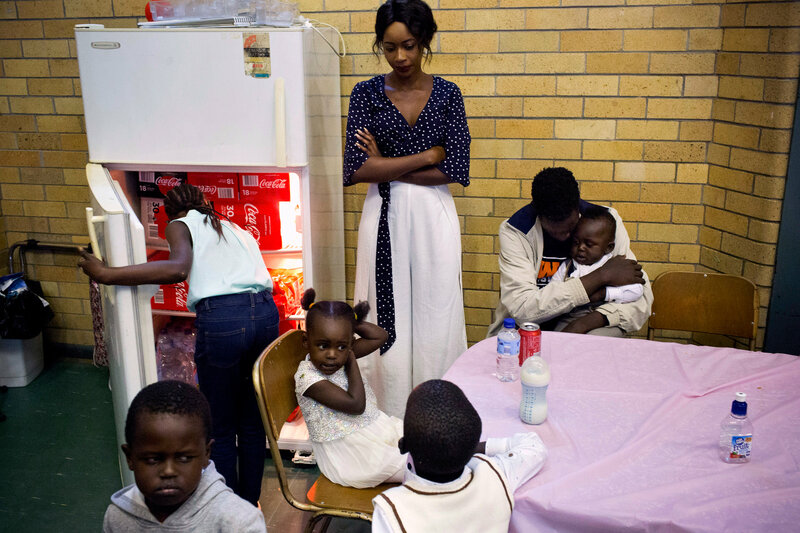 His relatives in South Sudan kept asking why he was spending so much time working without pay, but community leaders in Sydney and the families of dozens of players, including Henry’s, started a Facebook campaign to keep him from leaving. He ended up with a compromise: He took a break. 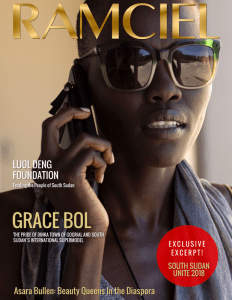 He visited South Sudan for three months. He returned to Sydney a few weeks ago. Now, after leaving his job at the local refugee resettlement office to make the trip, he’s trying for the first time to see if there’s a way for him to work with the Pride full-time. In the meantime, Mr. Chagai is relying for help from the community he serves. And the coaching continues. 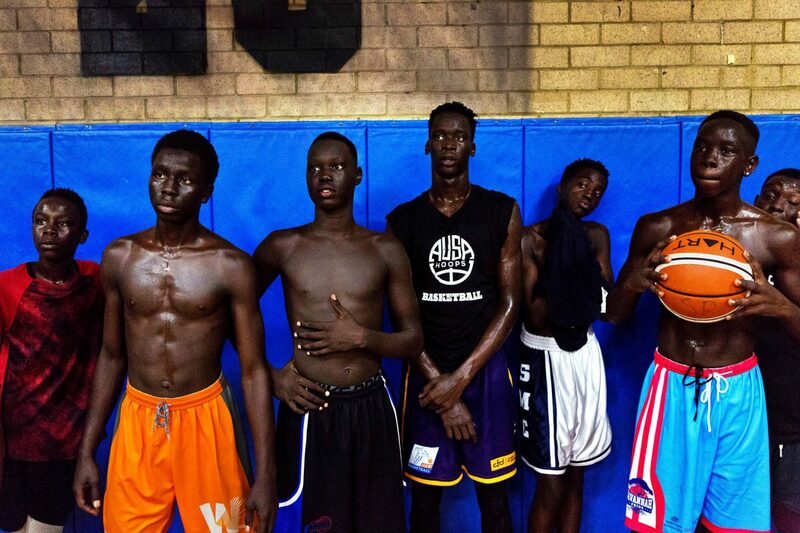 With the main South Sudanese-Australian tournament in July fast approaching, the drills and scrimmages in the P.C.Y.C. gym are becoming more intense. There are about 40 players trying out for 22 slots on two teams for boys aged 16 and younger. Just the other day, a coach from Texas Christian University stopped by to assess the action. He immediately offered Henry a spot on the team. No matter where he plays, Henry Makeny said he’s ready. He’s prepared to play the best basketball of his young life, far away from home. Robbie Harms contributed reporting from Gainesville, Fla.